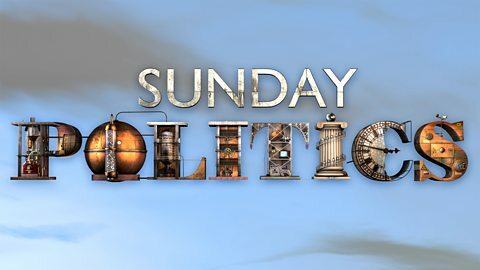 Made it to the BBC Sunday Politics Show! 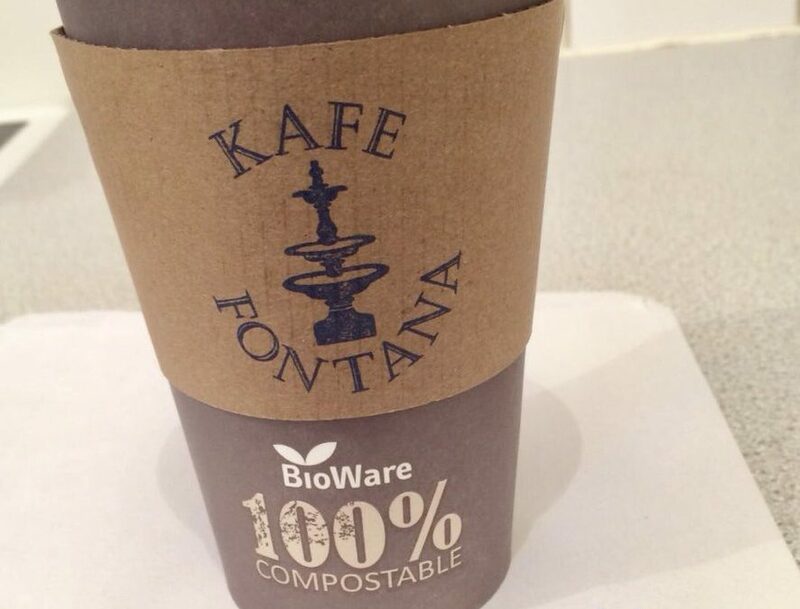 Kafe Fontana has found itself deep in the debate about the use of non-recyclables in the food and hospitality industry. Inspired by the affects of waste plastic on our environment (as highlighted in the BBC’s Blue Planet), two weeks ago we announced that we’d sourced 100% compostable takeaway cups (with recyclable lids) along with compostable takeaway containers, napkins and even paper straws, for our Sherborne coffee shop. The story was picked up on social media by BBC Radio Solent and then BBC’s Sunday Politics Show. As a small independent, we’re proud of the contribution we’ve made so far and hope that other local and nationwide coffee shops, and indeed any business currently using plastic-lined takeaway cups or single use plastics and non-recyclables of any kind, will follow suit. Compostable coffee cups create a stir! 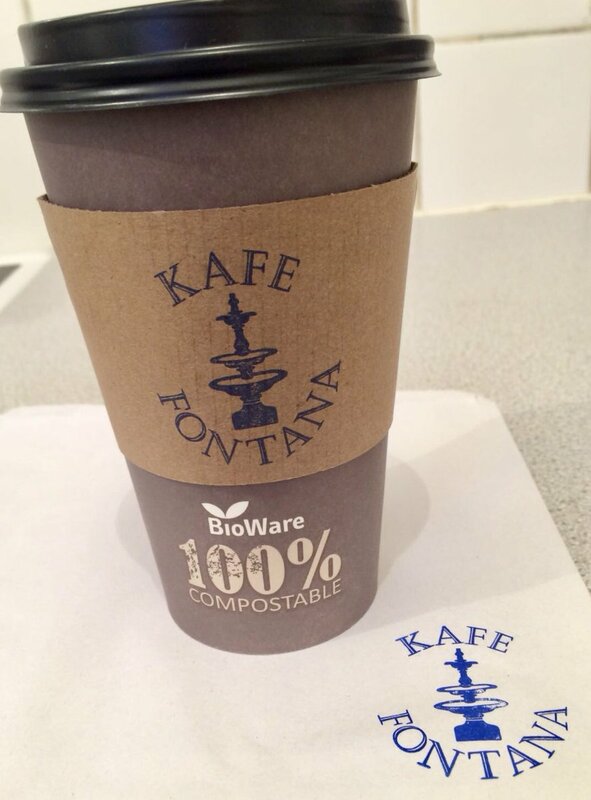 We are proud to announce that we now only use 100% compostable takeaway hot drinks cups (with recyclable lids). Also all our straws, takeaway food trays, food bags and carrier bags are made from paper. We’re the first coffee shop in Sherborne to take the lead on this – we hope more will follow and that the town can become totally compostable for its takeaways! 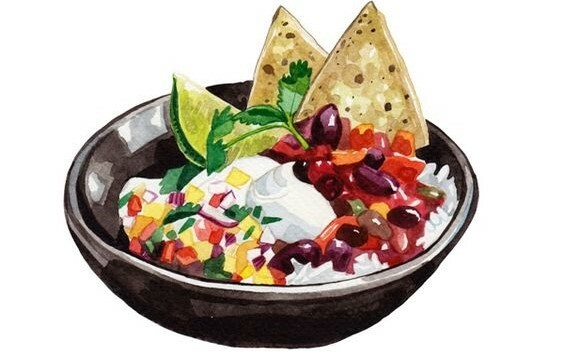 Our news has caused quite a stir (pardon the pun!) with coverage on BBC Radio Solent and TV. 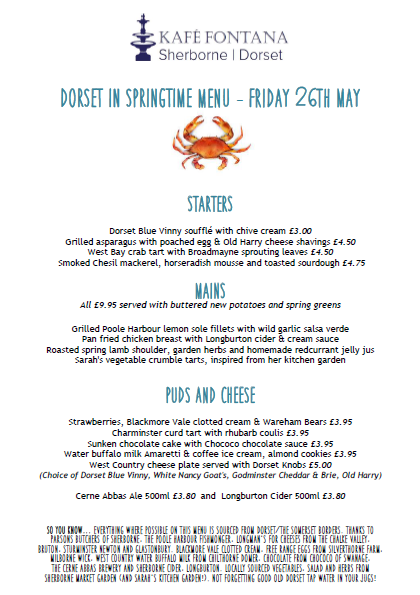 We’re looking forward to welcoming guests to our sold out Dorset in Springtime Menu – Friday 26th May, with dishes inspired by local producers in Dorset and the Somerset Borders. 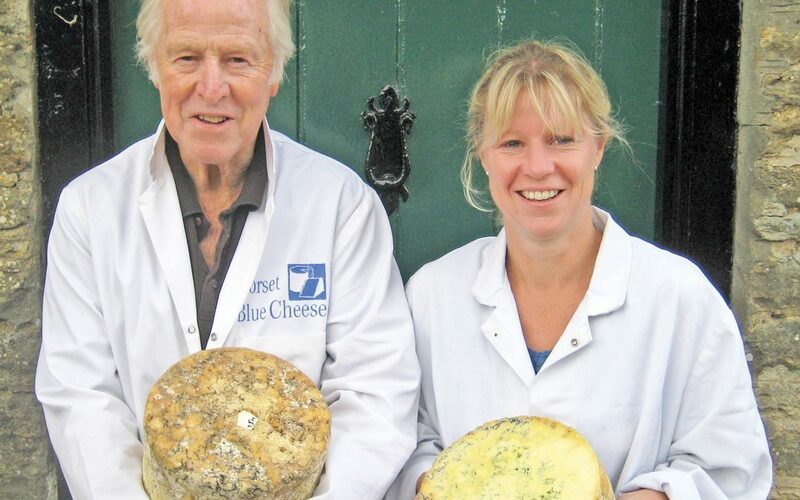 Our feature pic shows Mike and Emily Davies, makers of the famous Dorset Blue Vinny Cheese! 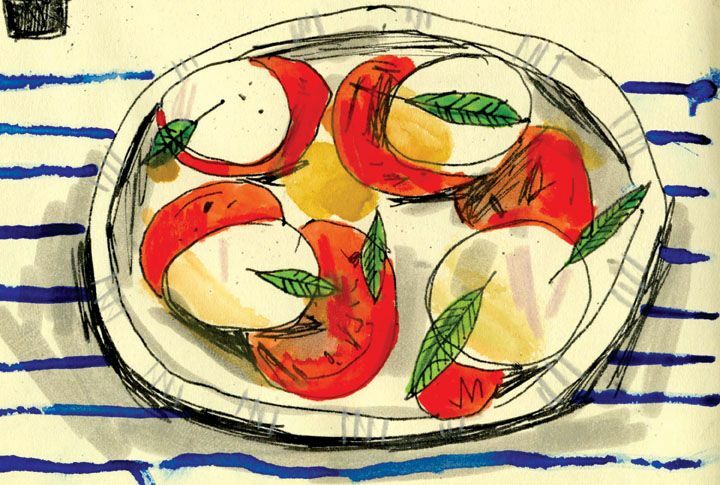 We’re looking forward to this week’s Italian Night themed evening (sold out!) which is on Friday 28th April. We have a special menu planned which includes Sarah’s ‘famous’ Lasagne! 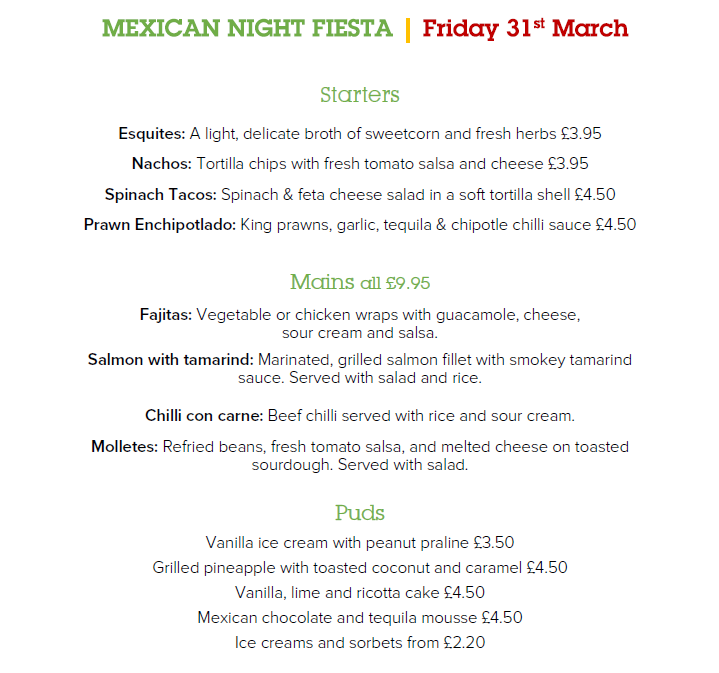 We’re looking forward to our sold-out Mexican menu night this Friday. Keep an eye on our website for future special events and book early to avoid disappointment.